The Isle of Arran distillery is new. Production started in 1995 so the oldest there is anywhere will be from that vintage – though there is likely to be little of that left, as most of it would have been sold to generate cash flow. Case in point: The current age statement line up starts at 10 years and ends at 18, which is a limited release of 9000 bottles or approximately 35 casks. That’s not a lot at all. Nose: Immediate impressions: Very clean and natural with lots of minerals. The philosophy behind this one – ensure distillation regime is good, don’t mess with the wood. What does the natural spirit say? Lots of white clay and clean earthiness. A wet box of chalk. Maybe some yeast. Quite some lime zests. So far so Highlander. Green apples and green mangoes. Rather medium-light in nature though. Can’t wait to try this at 20 + years. Palate: More raw sap and unripe fruit juices here, but not as stinging as that sounds. Rather more like some hippie veggie raw food smoothie. Very healthy then. White pepper, flints, a very gentle camphorous medicine. A thin sweet oiliness also becomes apparent, along with more obvious wood and vanillins now. Finish: Medium-short, again true to form. Natural, mineralled and slightly zesty. Will be amazing with due time. Right now it’s still lacking in overall complexity but the distillation feels absolutely spot on. Finished in quarter casks. The nose would agree with that. Nose: Smells like fresh bourbon casks here. Plenty of bananas, varnished wood, caramel, vanilla and wood spices. Fat wood flavours but the spirit under it is rather austere and sharp, giving this a flinty chiselled edge under the excesses of bourbon. Hints of lime, lots of minerals again, and clean mentholated chest rub – as opposed to heavy odorous ointments. Really reminds of modern Glen Garioch in fresh bourbon casks. Finish: Medium. Very much on bananas and wood here. Fresh bourbon quarter casks seem to work well here. Not a bad one at all. Very Highlander in style. I wish they peated their make. 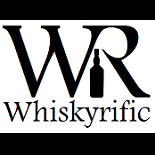 This entry was posted on June 19, 2016 by Whiskyrific in Arran and tagged Arran, Bothy.